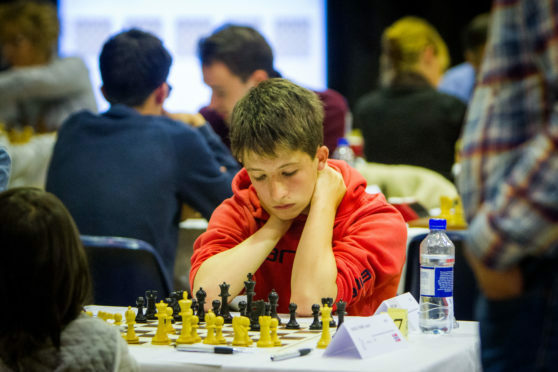 Some of the country’s best chess players will descend on the City of Discovery this weekend for the return of the Dundee Chess Congress. The tournament used to be staged at David Lloyd Leisure at Ethiebeaton Park near Monifieth but has now moved to a new venue in Dundee city centre. Organisers say the switch, couple with interest garnered from the Grandmaster Tournament held in Dundee last year, has led to an upsurge in entries. Demand for places has been so high organisers had to stop accepting entries to the competition, which is taking place at Dundee University’s Chaplaincy Centre. The event, which starts today and runs until Sunday, will see 136 players compete in three tournaments: Open, Major and Minor. Among those taking part in the Open tournament will be Danish-born Scottish grandmaster Jacob Aagaard and international master Andrew Greet. Tournament director Keith Rose said: “We have had to close the congress to new entries because we are at capacity. “We have got players coming from across Scotland and as far away as London. Mr Rose said last year’s Grandmaster tournament may have contributed to the popularity of this year’s event but also the move to Dundee has made it more attractive to players. He said: “For all the years we were at Ethiebeaton it was very popular but there was a bit of a demand for somewhere more central. “There’s a greater variety of accommodation – hotels and bed and breakfasts that were not so easy to get to from Ethiebeaton. Mr Rose added the presence of Jacob Aagaard will also be an attraction for players who want to pit their wits against one of the country’s best players. He said: “He doesn’t normally enter congresses like this so it is kind of special to have him here.